Quality 2 in 1 paddle combo. 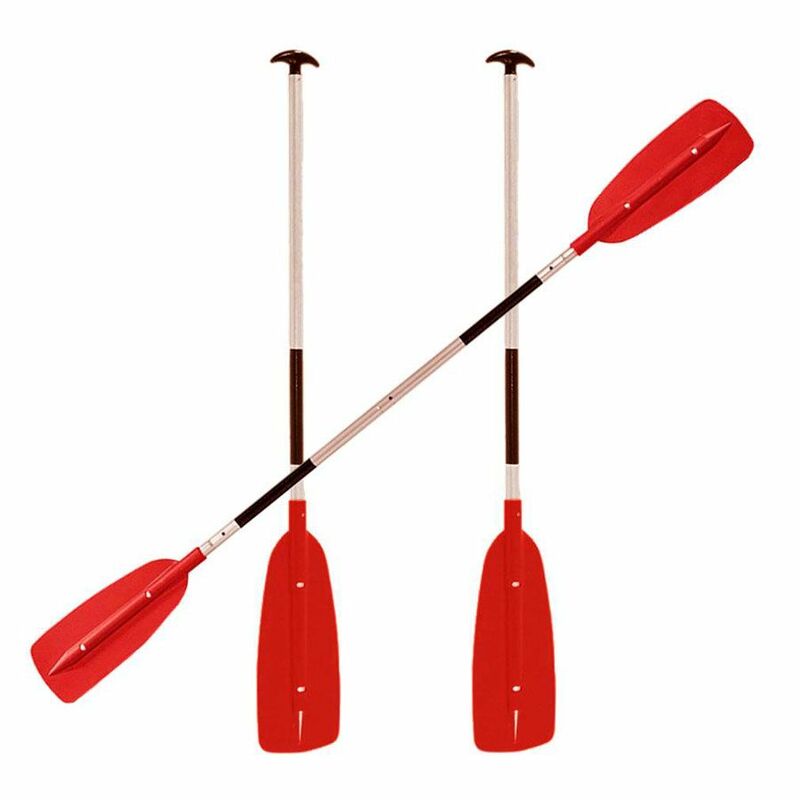 Comprises a Twin Bladed Kayak Paddle that splits into two sections. Twin Blade Option = 215cm Total Length. Each Blade has a 45 Decree feather = 90 decrees. Supplied with 2 T-Pieces that attach with button joins and convert the sections into two single blade canoe paddles of 150cm length. Sturdy ABS Blades.Floats when assembled.Very Strong Aluminium ShaftCold water gripsDrip rings.